​We are a group of volunteers who love live arts performances. 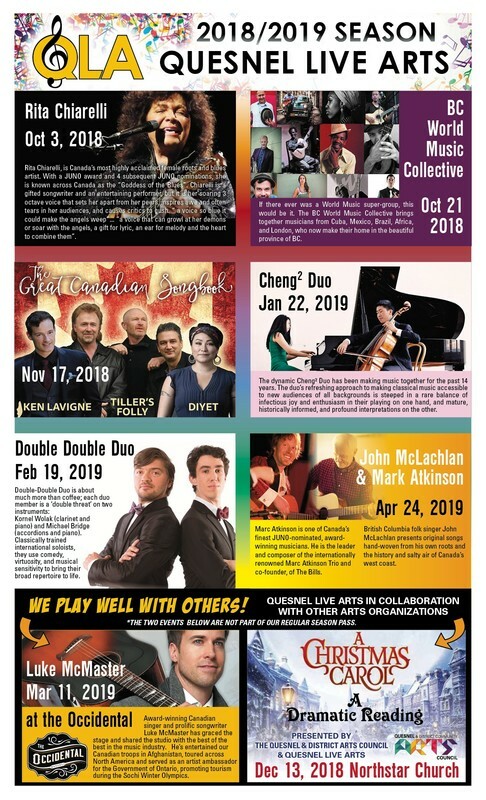 Even though we have our favourite types of music and performers, we seek out a wide variety of high quality affordable entertainment for the Quesnel community. We have a dedicated audience of season ticket subscribers, some of whom have purchased season tickets since our early days. We are determined to keep the ticket prices affordable. We strongly believe that young people with an interest in the arts should be encouraged to attend live performances, and regularly give them special rates to attend specific shows.